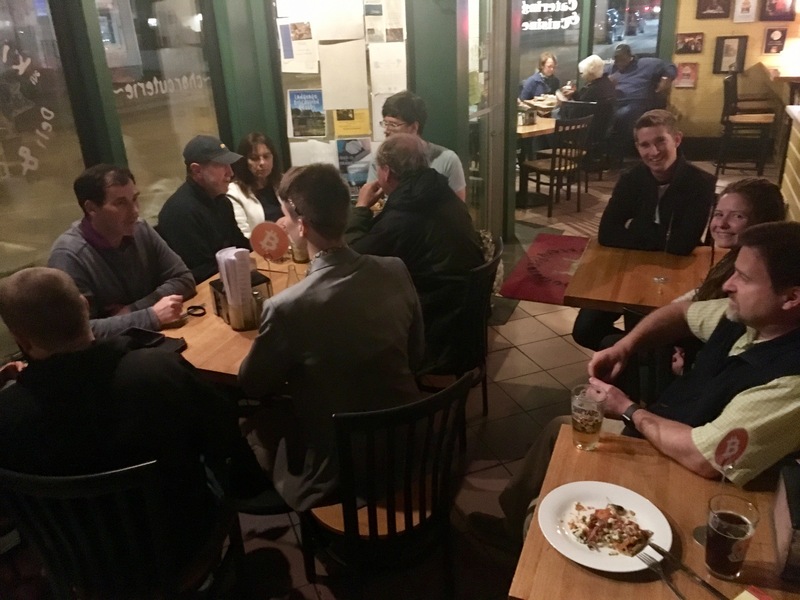 The bitcoin meetup this week was a blast! We packed one corner of the Kitchen restaurant with people of all ages and experience levels. We celebrated Mark, the owner of Portsmouth Smoke and Vape, becoming the newest addition to the World Famous Bitcoin Tour. His business is unique on the tour, as it is the first downtown retail store to take cryptocurrency — and he takes a lot! They accept Bitcoin, Ethereum, Dash, Litecoin, and ZCash. Some people had heard about the meetup from the flyers posted around town — others from visiting the store — and still others from searching Meetup.com. It was a good mix of people. 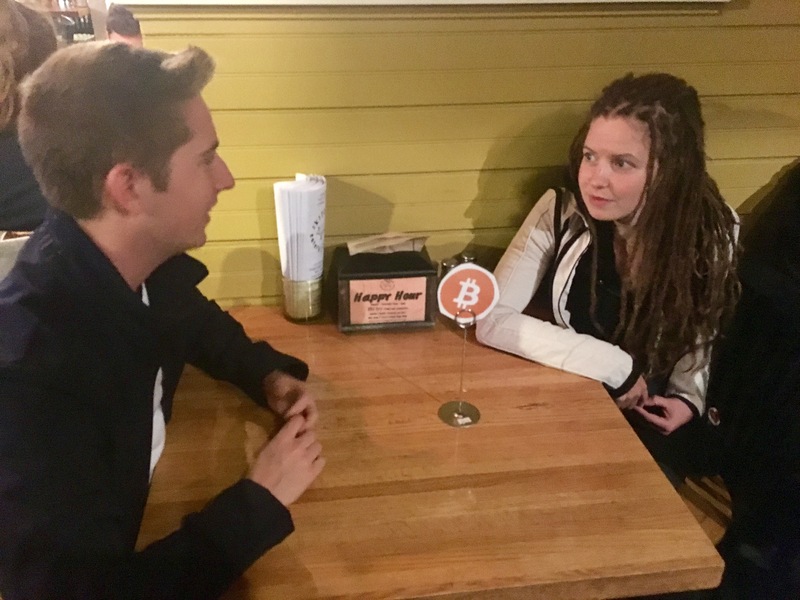 One guy downloaded his first bitcoin wallet and funded it by trading someone at the table for $5 in cash. He was surprised how fast and easy it was, and that it required no signup at all. The food and service was notably excellent, as it often is at the Kitchen. The staff knew we were having a bitcoin meetup and treated us super nice. They delivered some food out to us (which is not normal — usually you pick it up from the counter yourself). And they let us linger a bit after they closed, since we were having so much fun talking and learning from each other. 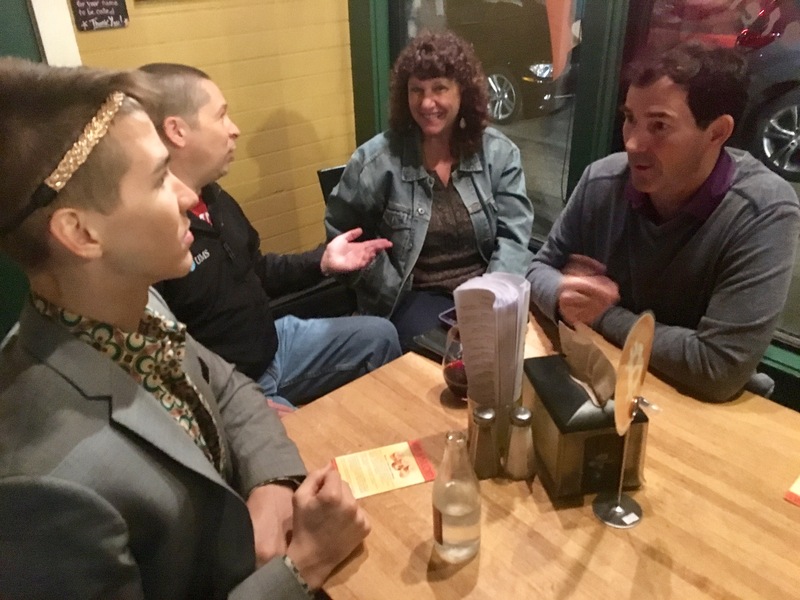 Charles shared with us about a cool thing the Portland Bitcoin meetup group is doing: they’re issuing their own cryptocurrency and awarding it to people who attend and participate by speaking. It would be so awesome to have someone spend that cryptocurrency to purchase merchandise at the Free State Bitcoin Shoppe! 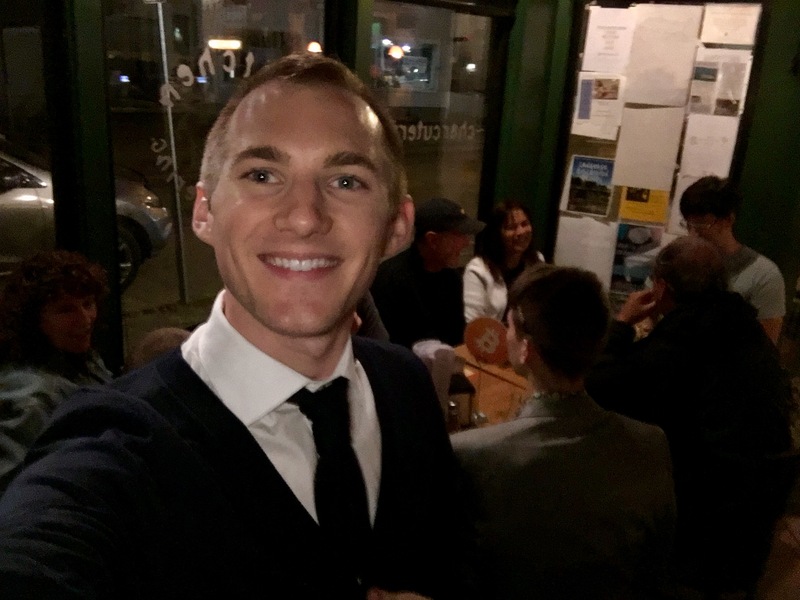 The next Portsmouth bitcoin meetup will be at the Fresh Press on Sunday, October 15 at 2pm. The Shoppe will be closed for the next 2 weeks as Steven and Derrick will be in Prague for the Hackers Congress. We’ll have lots of great info and fun pictures and video to share, so follow us on Twitter.